Simon joined the Montara team after almost 20 years in the wine and brewing industries. Being born and bred in the Penola/Coonawarra region, wine was the inevitable vocation of choice. After completing studies in Horticulture, he cut his teeth in the vineyards and cellars of Coonawarra. After four years with the Southcorp Wine Company, Simon went on to manage and establish a 100 acre vineyard in Wrattonbully for Glenhurst Wines. Following this position, he studied further in the area of brewing science before spending four years brewing and consulting in the emerging craft beer scene. The wine bug bit once more in 2009, and Simon returned to Coonawarra to take up a laboratory role with Penley Estate, working for one of Coonawarra’s finest producers. Simon became a Victorian in 2012, crossing the border to take on an Assistant Winemaker role at the iconic Best’s Wines, Great Western. 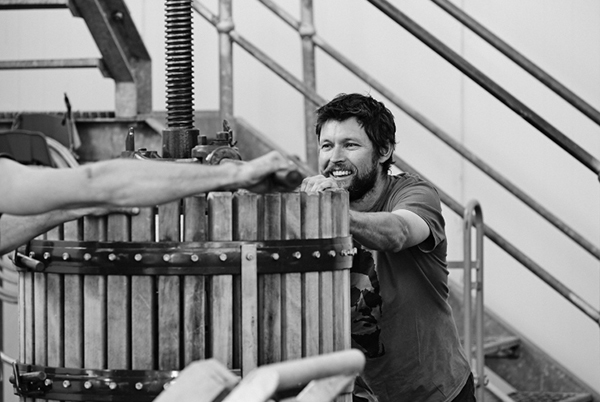 He worked alongside the Thomson family and Senior Winemaker Justin Purser in creating multiple trophy and award winning wines from the Grampians region. In his spare time, Simon enjoys playing the piano in local soul/funk band Orange Whip and barracking for the mighty Geelong Cats. Following school, Justine gained formal education in marketing and joined international cruise ships for several years to run her department in boutiques, overseeing logistics of duty-free goods. She then returned to Australia, travelling as a tour guide before meeting her partner, Justin. Justine and Justin relocated to Victoria, Justin’s home state, and established Grampians Helicopters and Grampians Wine Tours. Due to the nature of their businesses in the region, Justine built a great relationship with the Montara family, and joined the team in 2017 to manage stock and work with export. She spends her spare time hanging out with her son & husband. Billie studied a Bachelor of Business at RMIT, Arts at Victoria University and a Diploma of Dance & Singing teaching. Her successful career on stage in dance, musical theatre, singing and recording caused her to defer from these courses and start her own performing arts school, The Stapleton Dance Academy, at the age of 21. During this time, she also co-founded her own jazz quartet with Aria award winner Andrea Keller. Career highlights include Australian Original cast of 42nd Street, a regular solo singer on the Good Morning Australia Bert Newton Show, touring with Deep Purple, and Rove Live with MOBY. After having her two children, Billie turned from music and the arts to the wine industry, starting with a wine rep apprenticeship at Montara under the former national sales manager from Scotchman’s Hill. In 2008, she began concentrating on international trade, spending several weeks a year in China, and eventually established a Montara Wines office in Shanghai. Billie became Export Manager in 2013, generating new business in Hong Kong, China, Indonesia, and the USA, and then took over the reigns as General Manager in 2016. She believes that Montara is all of life’s pleasures in a bottle, and after many years in the music industry is focused on bringing the most amazing “harmonised” wine experience to her team and customers, not only in the service and the product, but most importantly the relationship. Joining the Montara team late 2017 due to increasing opportunities with our international customers, Betty coordinates the internal exporting effort through bilingual communications and operations for the international market. Betty finished a Diploma of Business at ECN University in Shanghai in 2013, furthering her study at LaTrobe University in Melbourne with a Bachelor of Finance. After graduating in 2016, she joined a Melbourne-based international logistics company as a cargo shipping clerk before stepping into Australian international trading and logistics. During her time in Australia, Betty has enjoyed the different cultural interactions from a personal and business aspect. 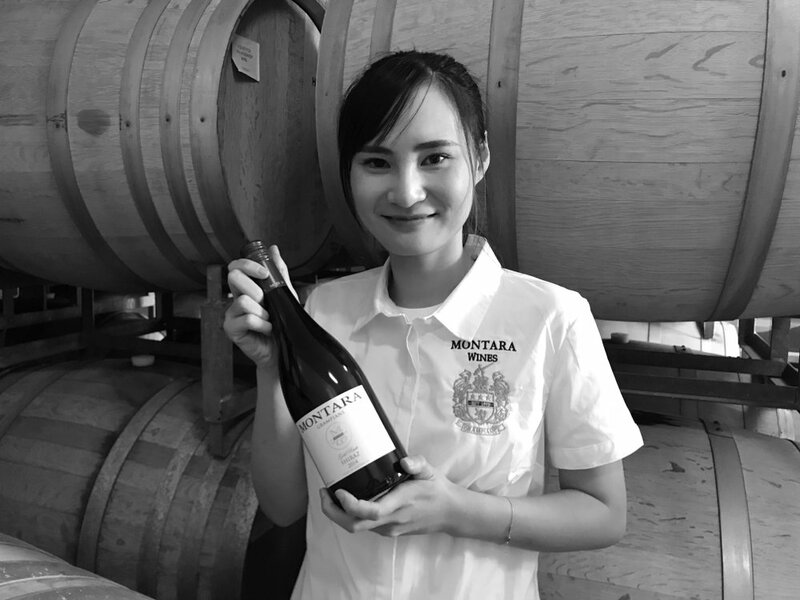 Extending the cultural experience by accepting a position at Montara is exciting as she now embraces lifestyle in the countryside while learning more about the wine industry. When Jessica Groves went on her first date with new flavour of the month James, the intention was simply have a yarn over a few glasses of wine. Never underestimate the significance of a glass of wine! Fast forward seven years and now into a slightly more serious relationship with two kids in tow, Jessica is now creating the narrative and communicating the stories for James’ family business, the Stapleton’s Montara Wines. 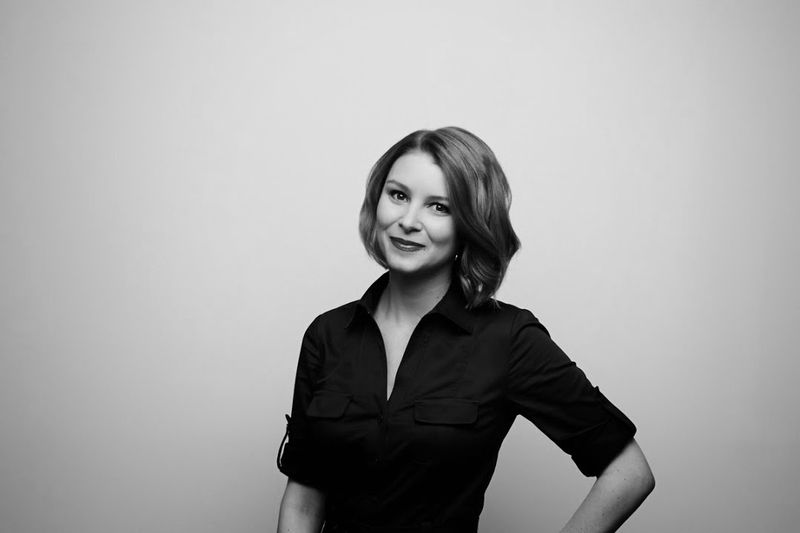 Following an early career showing creative flair blending tones as a colourist in the hair styling sector, Jessica attained a Diploma of Marketing at Southbank Institute of Technology and landed an online marketing role with the Ray White Real Estate Group. A role which enabled her to develop her technical and strategic skills in the highly demanding digital marketing and business development areas. Family businesses are ubiquitous in the Australian wine industry, so it was a logical and natural progression for Jessica to bring her marketing skills and customer service experience into the Stapleton business. 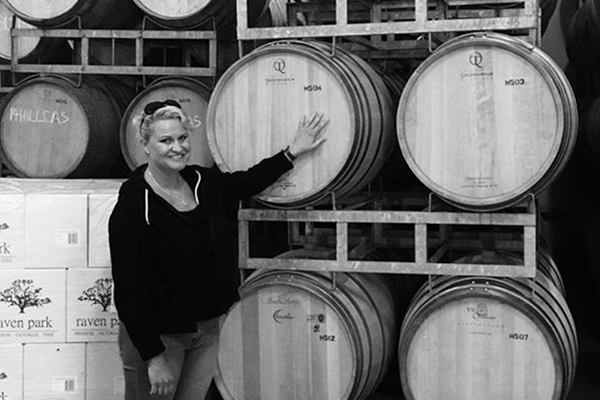 On joining Montara Wines in 2015, like so many others visiting the winery, her first stop was – the cellar door. 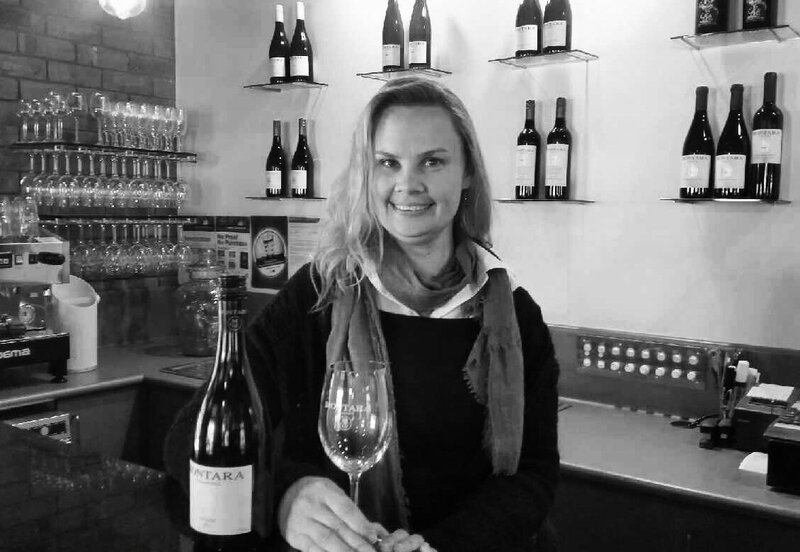 As Cellar Door manager, she acquired a strong understanding of the business from the ground up. She still greatly values the opportunity this presented to engage with customers directly, espouse the attributes of each blend and create a memorable experience for visitors. As Marketing Manager, Jessica is now based in the Melbourne office with a broad portfolio of responsibilities covering both trade and consumer marketing and engagement. Wherever it may be, Jess is found engaging with people and informing about all of the wines, the vineyard, property, and history. Reflecting on that now, seemingly significant, glass of wine some 7 years ago, Jessica says….. never miss a chance to catch up over a glass of wine…. preferably Montara!